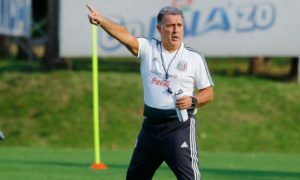 In a new weekly article, Tom Harrison provides his tactical and statistical analysis on Liga MX, offering five takes from the jornada. América’s centre-backs were given a major defensive test by Tigres, but their attacking quality ended up shining through. Both Bruno Valdéz and Emanuel Aguilera got a goal and an assist as América exploited balls into the Tigres box during the three-two win. Defensively, the Valdéz-Aguilera partnership looked weak, and was regularly dragged apart. This was mainly due to Luis “Chaka” Rodríguez’s forward runs, which occupied Jorge Sánchez, and the wide position of Julián Quinones, as Aguilera often looked to stick tight to the young Colombian. Tigres, partly due to a remarkable Valdéz clearance off the line, missed opportunities to take the lead though, and América punished them after half-time. First, Emanuel Aguilera beat Jurgen Damm to head in a near-post corner, and then, Guido Rodríguez was left unmarked in the middle of the box to finish Bruno’s knock-down. 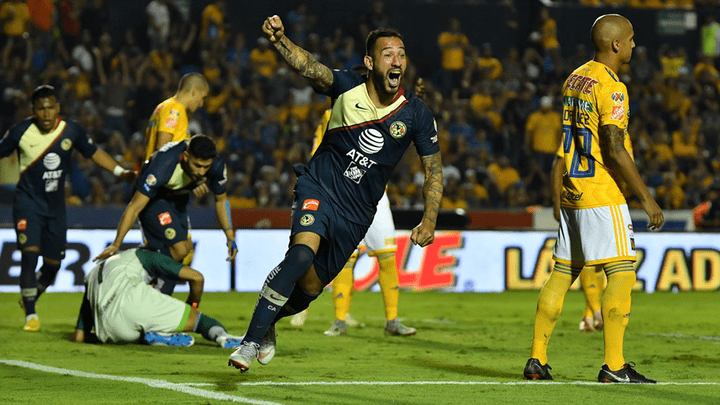 Tigres quickly responded thanks to an excellent André-Pierre Gignac strike, but América held on for a massive victory. Set-pieces were the undoing of Tigres last night. Interesting to break down what went wrong for Rodríguez's goal. Picture 1- Hugo Ayala is left with 2 players, but focuses on stopping Guido. You could certainly make a case for Rubens Sambueza being the most influential player for his side in Liga MX, after all, Sambu averaged the highest number of ball possessions per 90 minutes last season. Sambu’s creativity is crucial to Toluca, and seeing how they perform without the Argentine, usually due to a suspension, is always interesting. Against Pachuca on Saturday, it was Luis Quinones stepped-up in Sambu’s absence, with a superb, game-winning performance. Quinones was outstanding throughout and pivotal in both Toluca goals. First, he set-up Alexis Vega’s one-v-one with a clever back-heel flick. Vega couldn’t finish, but Alexis Canelo scored the rebound. Then, with Toluca down to ten men, Quinones won the three points with an incredibly precise, powerful finish in the 85th minute. Along with this influence, Quinones completed four of five dribbles, and won four fouls, to make sure Sambueza wasn’t missed. A study I recently produced found that, in contrast to Europe’s “big 5” leagues, having a more possession-based approach results in less efficient creation of chances. This week provided yet more evidence of this. 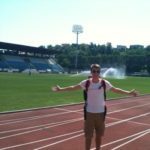 In a week where six teams had over 60% possession, only Cruz Azul won, and they were playing against ten men and only scored from a set-piece. Chivas, Tigres and Pachuca all lost their matches this week despite having over 60% of the ball. Chance creation was a massive aspect of this, the three teams managed just 12 shots on target between then and, crucially, none of the three sides created a single big chance. Pachuca provided the most extreme example of a lack of success at creating chances through possession-based play. Los Tuzos were already dominating possession against Toluca when William da Silva was shown a straight red card. Against ten men in the second-half, Pachuca had 78% possession, but didn’t manage a single shot on target. Despite having a man less, Toluca were able to hit on the counter and grabbed all three points with Luis Quinones’ stunner. Leonardo Ulloa’s heat map and number of passes shows how often he dropped into the Pachuca midfield to help build attacks. 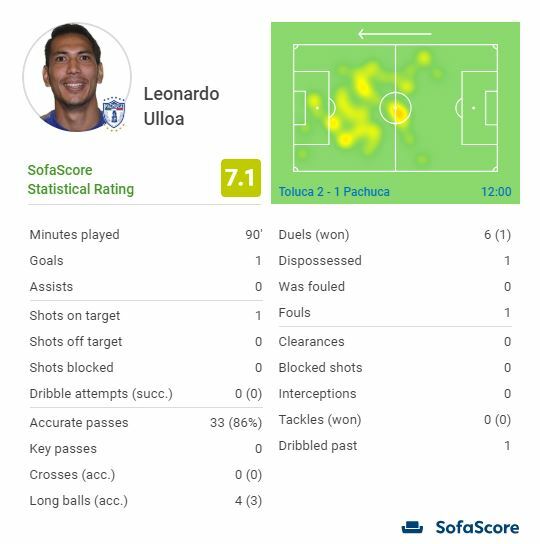 His link-up play was excellent, but Pachuca may have been better served with Ulloa staying forward to get on the end of crosses. Cruz Azul haven’t often dominated possession this season, but after Rogelio Funes Mori’s red card in the 24th minute of their game against Monterrey, La Máquina ended up having 68% of the ball. This gave a great opportunity to see a different side of Cruz Azul, and how they’d cope with having a lot of the ball, but facing a deep, compact defence. Cruz Azul’s tactic was to play through young Roberto Alvarado as much as possible. Alvarado completed 54 passes against Monterrey, this is more than Iván Marcone’s 48 and almost as many as Elías Hernández, Édgar Mendéz and Martín Cauteruccio completed between them (61). Alvarado managed three key passes during in a match dominated by set-pieces, but it was Mendéz’s header from an Adrián Aldrete free-kick that won the three points. 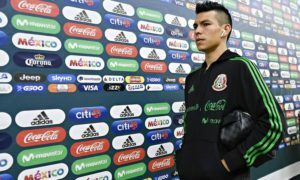 After playing a key role in Mexico’s 2011 U-17 World Cup victory, Jonathan Espericueta became one of the most hyped-up young Mexican talents. U-17 is too young to properly judge a player, and Espericueta was probably never as good as people thought, but a near-complete lack of opportunities at Tigres led to the young midfielder becoming a forgotten talent. 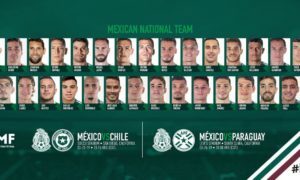 Espericueta moved to Puebla this summer, and has so far appeared in five games, starting once against Pumas last week. This week, in the Clásico Poblano against Lobos BUAP, Jonathan reminded everyone that he’s still a talented midfielder. Espericueta came on for the injured Francisco “Gringo” Torres and had a major impact on the game. Jonathan scored an excellent goal from outside the box, after rounding his marker, and helped Puebla move the ball through their midfield. Espericueta has a long, long way to reach the potential he was spoken of having, but he’s finally scored his first Liga MX goal, and still has plenty of time to build a successful career.